2018 Shred Bowl a Success! 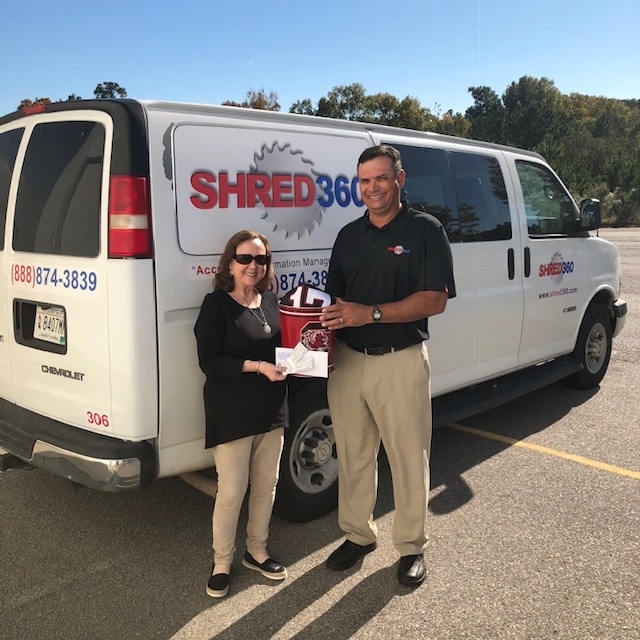 Thanks to your support and appreciation of our free shred day events, the 2018 Shred Bowl Event was a HUGE success! The primary goal of the Shred Bowl, is to provide free shredding to the consumers of South Carolina, and to promote the deeply rooted football rivalry of the Clemson Tigers and the South Carolina Gamecocks. Shred360 had over 200 consumers attend, 500 contest entries, and shredded 10,000 lbs of personal documents! https://shred360.com/wp-content/uploads/2018/07/BLOG-POST-FEATURED-IMAGE.png 100 100 Shred360 https://shred360.com/wp-content/uploads/2016/05/shred360-logo-updated-web6.png Shred3602018-11-25 21:06:192018-11-25 21:09:522018 Shred Bowl a Success! Shred360 is NAID Certified for mobile document destruction, meaning we follow the stringent security practices and procedures established by the National Association for Information Destruction. Did you leave your home state on this trip? Which state did you visit? Comments may be used as testimonials and/or other marketing purposes. Please indicate if you wish to keep your comments anonymous.